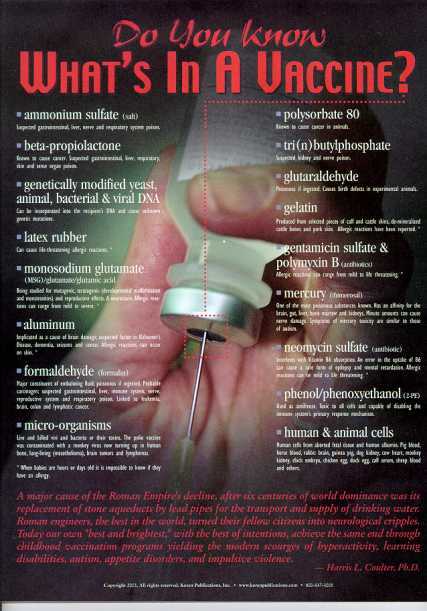 POSTER: Do You Know What's In A Vaccine? What's really in a vaccine and what those chemicals do to a developing brain and immune system is what every parent and parent-to-be needs to know. More and more parents are concerned about vaccines; they will be very grateful you are giving them information they may not get anywhere else in order to make an informed choice.